In early April, Sony issued a new software update for the PlayStation 3 that eliminated the option to install an alternate operating system, like Linux, to the console. Now, a California man is suing Sony Computer Entertainment over the change. PlayStation 3 firmware 3.21—a mandatory update—went live on April 1, removing the "Install Other OS" feature present in the original version of the console. Sony Computer Entertainment reps said the decision to eliminate the feature was "due to security concerns," that dropping a secondary operating system would "help ensure that PS3 owners will continue to have access to the broad range of gaming and entertainment content from SCE and its content partners on a more secure system." Plaintiff Anthony Ventura takes issue with that decision in a suit filed against SCEA in a North District of California court. The suit filed on his behalf believes the change "reflected Sony's concerns that the Other OS feature might be used by 'hackers' to copy and/or steal gaming and other content." "Sony's decision to force users to disable the Other OS function was based on its own interest and was made at the expense of its customers," reads the complaint. 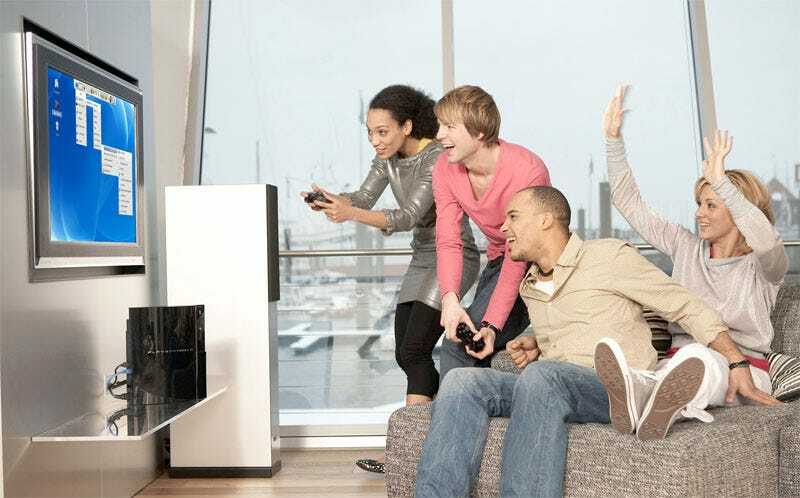 The class action suit was brought on behalf of "a nationwide class of all persons who purchased a PS3 during the period November 17, 2006 and March 27, 2010 and who did not resell their PS3" during that time. The suit claims that the "Install Other OS" function was "extremely valuable." According to the suit, the plaintiff he has not yet installed the latest firmware update so that he can continue to use the Other OS feature. The suit also notes that PS3 owners who choose not to update their firmware cannot access the PlayStation Network, play PS3 games online, nor can they play new games or Blu-ray videos that require firmware 3.21. Ventura's suit against the PlayStation maker seeks "damages for Plaintiff and each class member, including but not limited to compensatory damages; restitution; injuctive relief; attorneys' fees; and the cost of this suit." Specific sums are not listed, although court documents note "the amount in controversy is in excess of $5 million." Kotaku has contacted SCEA for comment.